I love eggplant, but really am not fond of the one way that everyone makes it…eggplant parmesan. I’ve eaten eggplant on pizza. Ordered eggplant from the Chinese restaurant that delivers to my house. And tried a handful of unusual eggplant recipes. I think this is one of my favorites, and it is a great way to introduce your family to eggplant if they haven’t had it before. When I found this recipe, I made it for the first time for a family dinner. It was a huge hit and there were no leftovers…so I came home and made another batch of it the very next day for myself! I know eggplant isn’t a traditional Thanksgiving ingredient, but it fits right in to the comfort food category. Give it a try yourself and then consider making it for your Thanksgiving dinner. 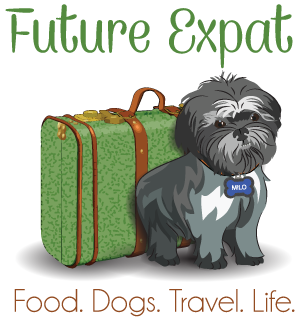 Start by preheating the oven to 350 degrees and chopping up your eggplant and onions. I had some Italian eggplants in my fridge, so that’s what I used. But you could also use the regular eggplants. I think the biggest difference is just the ratio of pieces that will have the purple skin. 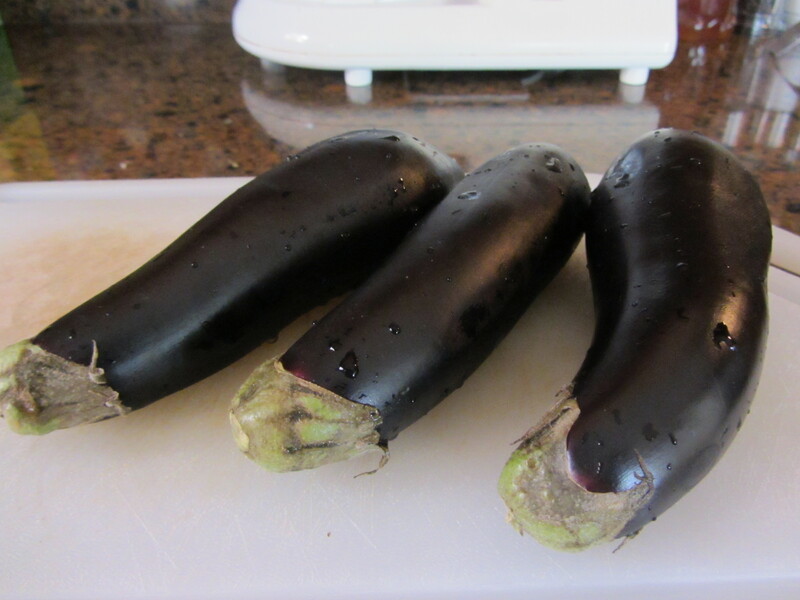 No need to peel…just cut off the ends, cut the eggplant into slices and then cut each slice into smaller pieces. You also don’t need to salt the slices to draw out the juices. I just tossed them right into the pan and didn’t taste a bit of bitterness. 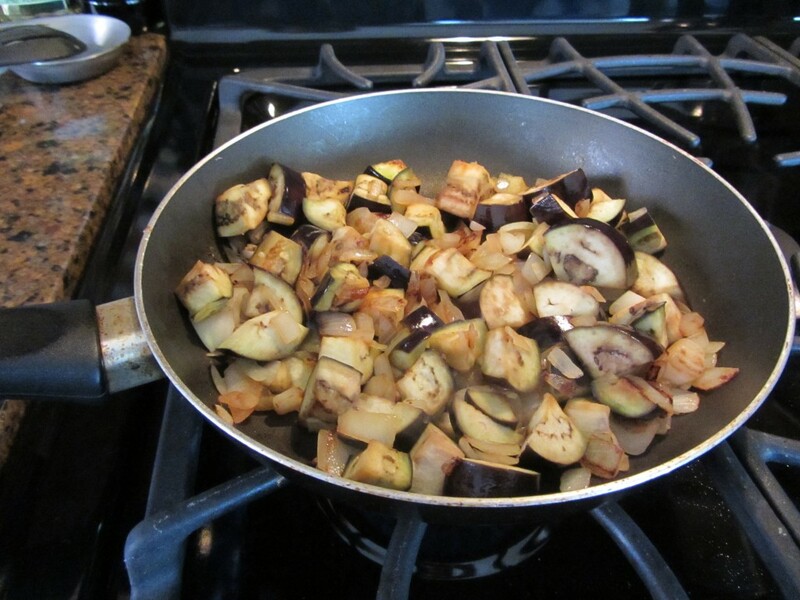 Heat oil in frying pan and then sauté the eggplant and onion until soft. 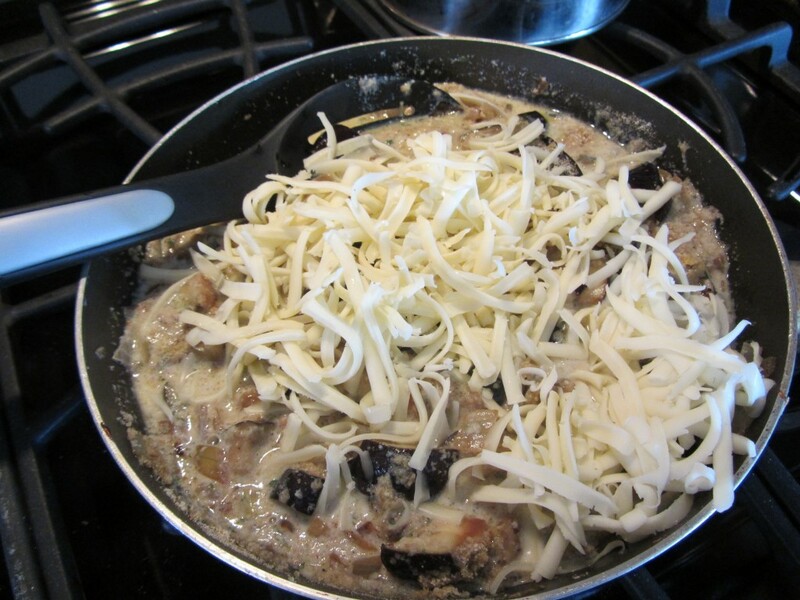 While you are waiting for the eggplant to get soft, go ahead and shred your cheese. 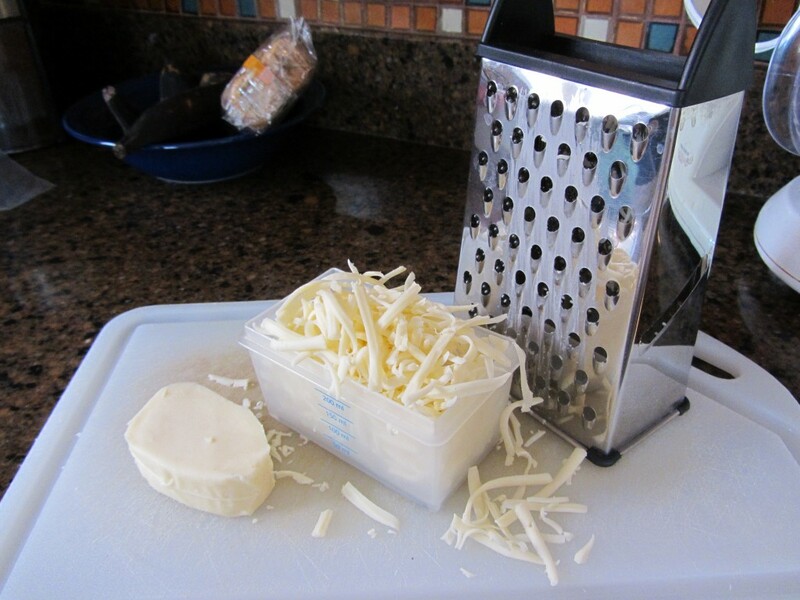 Yes, you can buy shredded cheese, but it is much cheaper if you buy it in a block and you don’t have any added ingredients which is necessary to keep the cheese from sticking together if it is pre-shredded. I used brick cheese since that’s what I had on hand, but you could use your favorite cheese. The original recipe called for cheddar cheese. I think that colby, monterrey jack and mozzarella would also be good. The original recipe also called for just 1/2 cup of cheese, but I decided that wasn’t enough and put in a heaping cup. Can you tell I love cheese?! 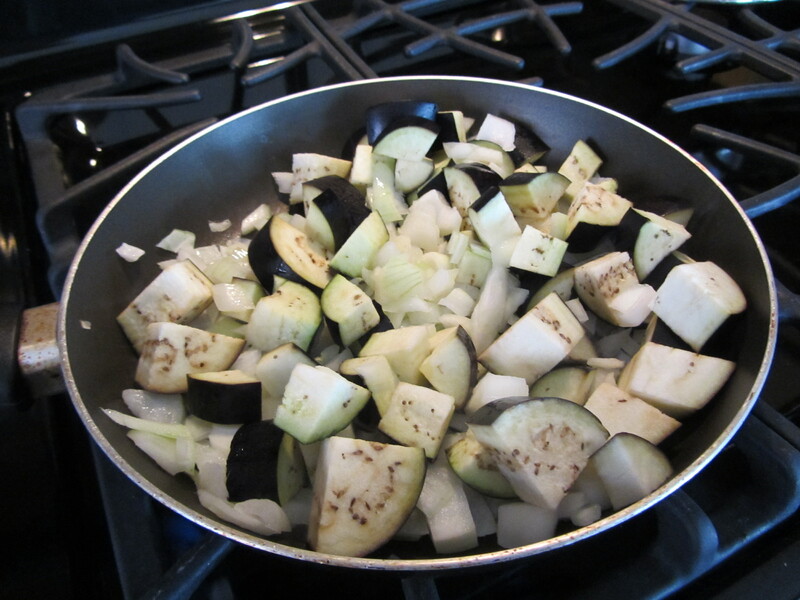 Once the eggplant and onion is ready, remove the pan from the heat and add the butter. Stir it up until it is melted. Then add the rest of the ingredients and mix everything together well. 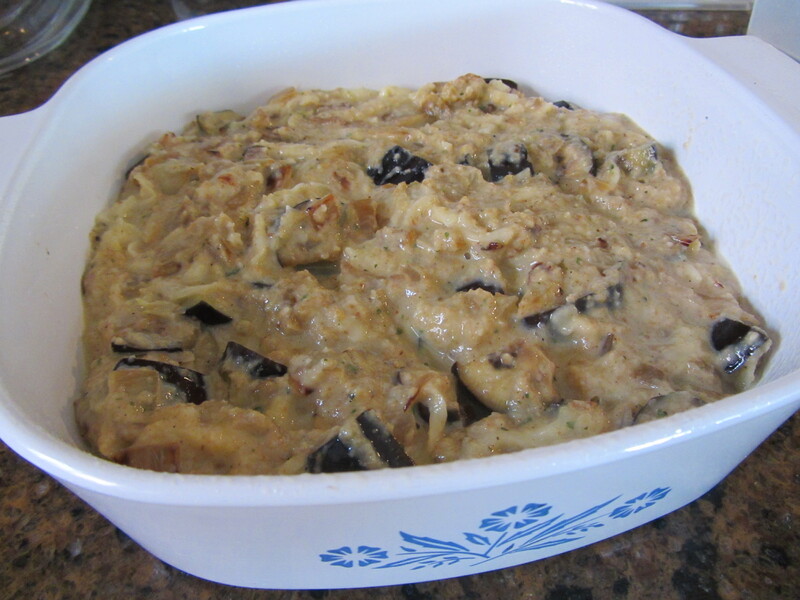 You could do this in a separate bowl, but I’m all for one less thing to wash.
Spray your casserole dish with cooking spray and add the eggplant mixture. Bake until golden and bubbly, approximately 45 minutes. Looks yummy! 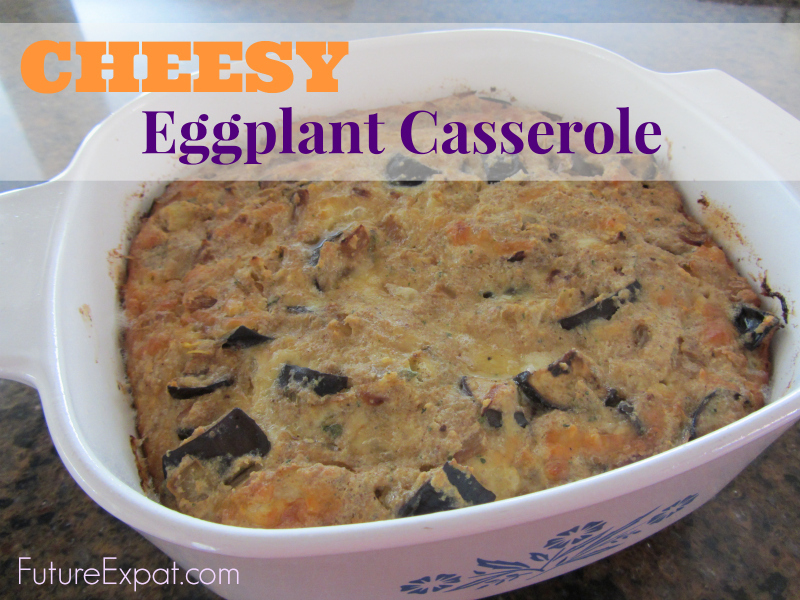 I love eggplant – and cheese! Pinned it also. 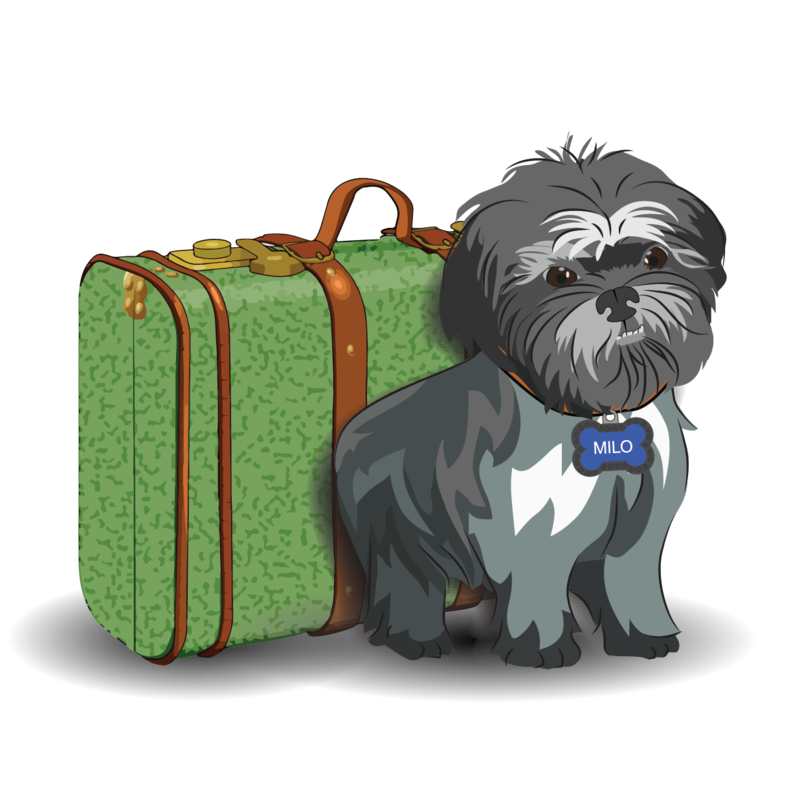 Thanks for the pin! I really do love this one. Actually started eating eggplant in an awesome casserole at the old Wyatt’s cafeterias in the South. Although I like the parm, the casseroles are still my favorite. This one sounds delicious! Thanks for sharing. This sounds delicious. I can’t wait to try it. Pinned it for later. 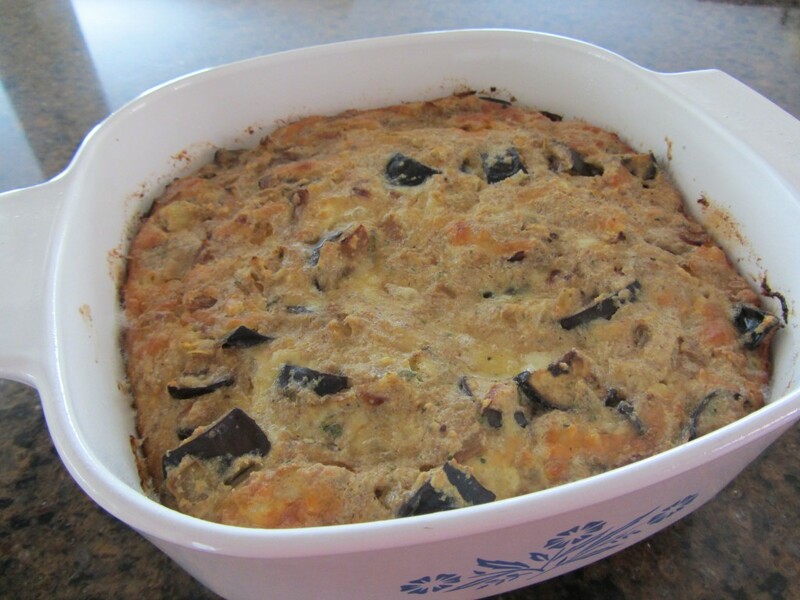 I have been lookgfor my grandma’s eggplant cass recipe and I believe this is it .we had every holiday ,I knew it didn’t have much in it so I believe this is it ..so excited to try. Will make b4 Christmas to see. THANK YOU! I am commenting from Israel. I made your delicious recipe this evening for supper. My family loved it. I changed a couple of things. Instead of a cup of milk [too much for my husband and son] I did 1/2 cup milk and 1/2 cup water and I topped the recipe with sprinkles of Za’atar, a popular Middle Eastern spice. Looking forward to trying some of your other recipes.